The CEMDC Medicines Development Course Module 8 is out! Do not miss the opportunity to register now. Objectives: The aim of the medicines development course is to train experts who understand the complex process of medicines development from molecule to the marketplace and health care. The graduates can apply this scientific and practical knowledge working in industrial medicines development, in regulatory agencies and in clinical medicines investigating centers. The diploma given by the Semmelweis University widens the career opportunities of the graduates. 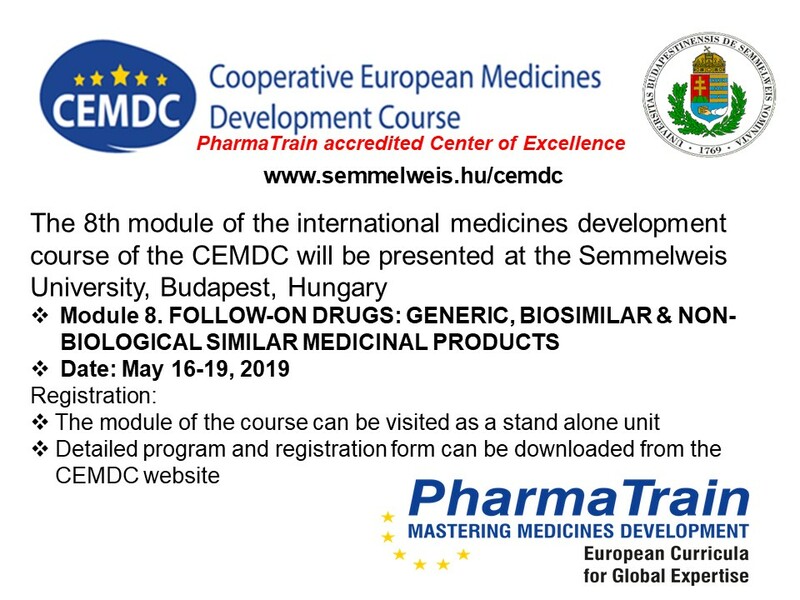 Location: The teaching is organized at the Semmelweis University by the CEMDC operating in the Institute of Pharmacology and Pharmacotherapy.